Jason Sacks: Well blow me down. I know Zack and I have read Popeye before, but have you read these original strips before, Daniel and Danny? Daniel Elkin: No. This was a first for me. I did watch quite a bit of the cartoons as a child, though, so that was really my frame of reference. Danny Djeljosevic: There was this one time I reviewed Volume 4 (Plunder Island) for Comics Bulletin, which speaks to how accessible these comic strip collections are -- you can pretty much start anywhere. Zack Davisson: Jason has been to my house and seen my Popeye shrine. I've been a fan of Segar's Popeye for about as long as I can remember. I started reading them when I was about 5 or 6. My Grandfather had a Smithsonian collection of old cartoons strips with tons of Popeye. Tung Tung da saund karda from Inderjit Singh on Vimeo. Fair Trade Comics is an ongoing series where Comics Bulletin looks at creator-owned comics that you can read without guilt or moral compromise. Keith Silva: Let's get sticky. We all crave stickiness, in fact, we have to have it. What "it" is … well, that depends. Stickiness is the "it factor" -- one's ability to select a particular sandwich, dish detergent or lover over every other. Malcom Gladwell has made a fortune explaining stickiness. If advertisers, marketers (and their shareholders) could bottle one thing, it would be stickiness. Nothing is perhaps stickier than art, in this case, comics. There's that Seinfeld episode when an editor at the New Yorker tells Elaine Benes: ''cartoons are like gossamer and one doesn't dissect gossamer.'' Elaine replies: ''Well you don't have to dissect it. If you can just tell me why this is supposed to be funny.'' Stickiness isn't about dissection and it's not subjective; stickiness is the why. Local sticks. Here's why. After years of not reading comics, I realize how insincere (and ignorant) I sound when I hear myself say, ''Local is the best comic book I've read in a long time (25 years to be exact).'' 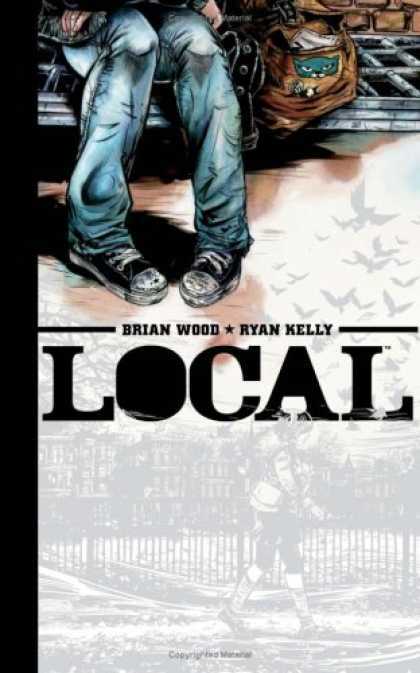 It's true and still … Local was suggested to me by my friend Justin Giampaoli on Twitter (@thirteenminutes) because I was enjoying Wood's work on Conan the Barbarian. Local and Conan are worlds apart, but they come from the same place. Both are stories about finding one's way in the world, the search for knowledge and the circuitous route one takes to gain experience. At the same time I was reading Local I was starting to get these… feelings. I suppose it happens to every comic book reader, that, I dunno some sort of spider-like reflex, some sense that the capes aren't your crowd. I don't have an axe to grind against Marvel or DC or costumed heroes for that matter. As I read Local I began to realize that I was (sorry) home. I began reading comics during the black and white revolution of the mid-'80s. At the time I was more concerned with whatever young, mutant, martial art, anthropomorphic animal dribbled down the shelves of my local comic shop. A seminal experience to be sure; and even though many of those comics choke giveaway bins now, their otherness was a full-throated howl that comics could be different. So, I'm hard-wired for black and white art -- Ryan Kelly's Local work transcends the form, no, really -- and creator-owned work, I own that, that's not what makes Local stick, unless (maybe) you're me, in which case we should talk. Local tells a human story. It sticks because we are all locals and we are all in search of a place to call our own. Jamil: Alright, Elkin, let's journey through the rabbit hole. 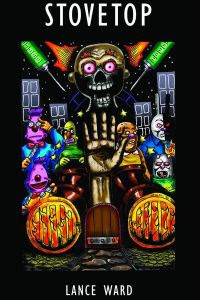 I'm sure you got the complimentary LSD that came with Stovetop, and we should be just sober now enough to examine this creative look at the nature of reality through the eyes of Muppets. The extremely animated, almost familiar, world is what popped out at me at first. Despite the characters being little clowns and muscular rabbits I felt pretty comfortable in Stovetop even in all its weirdness. Daniel: Comfortable is not a word I would have used any time during my reading of Stovetop, Jamil. I kept thinking the book was going one way, be it a commentary on the creative process or an exploration of the nature of the self, but then it would zag out on me and take me someplace else entirely, all at this frenetic pace, almost as if Lance Ward had eaten the acid before he began and was hallucinating this whole thing as he was creating it. Not to say that is necessarily a bad thing, mind you, because somewhere in this book, I think, lies those moments of abstract profundity that acid gobblers tend to reach (only to forget about or discount entirely when they come down). But it seems to be a wandering and winding road that Ward makes us sprint across to reach that other side. Superhumans with neural implants may belong to the realm of science fiction for now. But the day is fast approaching when technology offers us abilities beyond our wildest dreams (or darker than our worst nightmares). PhD in Robotics and NYTimes best selling author Daniel H. Wilson had a conversation with us to discuss the near future reality of brain implants that make us superhuman. IT IS WRITTEN BY KEITH SILVA. I run it here because it is awesome. Do you believe in the orderliness of events or is your day only ordinary? Have you ever thought that sequential storytelling shackles the intimacy of creativity? 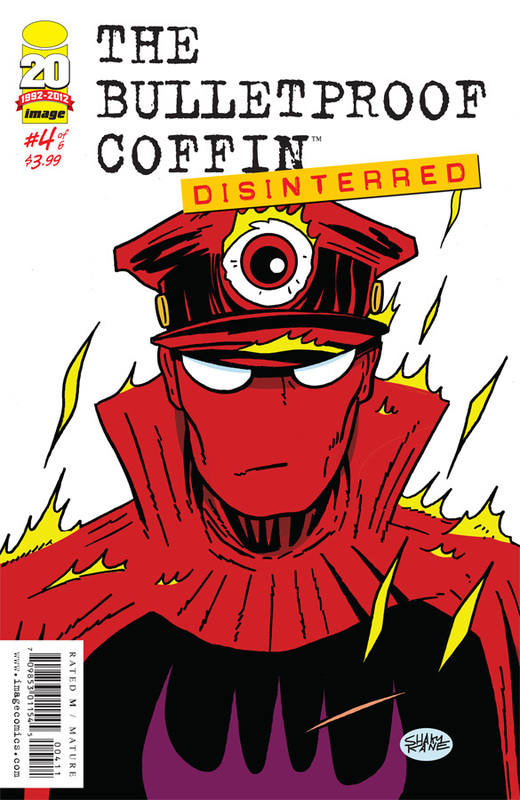 What did you make of The Bulletproof Coffin: Disinterred #4? Did you find the warmth of the arts and crafts room with its redolence of paste comforting that summer you went to the camp by the lake, the one run by the Catholics? When you see a gimmick or gimcrack, do you look past it or do you appreciate its novelty? Can you spot allusions to Lovecraft? How do primary colors make you feel? "I think it's just important to be nice to people."